New Service "What do I Need"
Bolivar Energy Authority is located at 815 Tennessee Street Bolivar, Tennnessee 38008. 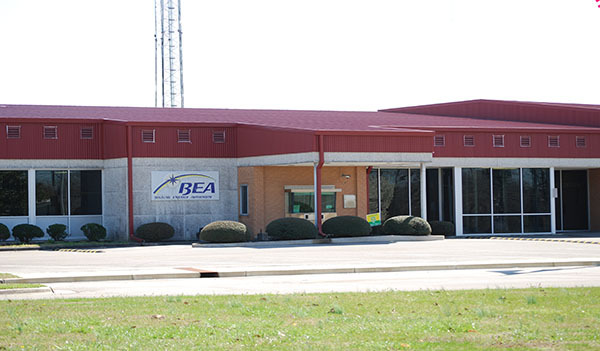 BEA Office hours: M-TH 7:30am to 5:00pm, Friday 7:30am to 4:00pm. To report power outages contact us at 731-658-5257 or 1-800-332-0457. We are here to assist our customers 24 hours a day, 7 days a week. In times of large power outages our phones may be extremely busy, but your call is very important to us! We appreciate your patience and will handle your call as promptly as possible. Bolivar Energy Authority serves Hardeman County and parts of Fayette, Chester, Madison and Benton (MS) counties. Total Electric customers; 11,221. Residential customers; 9,010. General Power customers under 50KW demand; 2,093. General Power customers between 51 and 4,999KW demand; 118. The Bolivar Energy Authority covers 1,350 miles of power line with an average of 8 customers per mile. The governing Board for BEA meets the last Monday of each month. This board was incorporated in 1936. The BEA office will be closed Friday April 19, 2019 in observance of Good Friday. Bolivar Energy Authority serves Hardeman county and parts of Fayette, Chester, Madison and Benton (MS) counties. Copyright © 2018 Bolivar Energy Authority. All Rights Reserved.